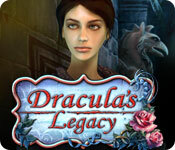 Dracula's Legacy is rated 3.5 out of 5 by 49. Rated 5 out of 5 by YuGiLover from A great and creepy story! I loved this game! the ending cut scene was so suspenseful. like Matt is obviously becoming a vampire and the vampire lord didnt care that he was dying, but knew who she was and gave her a box. WHERE IS THE COLLECTOR'S EDITION OR NUMBER TWO FOR THIS GAME????? 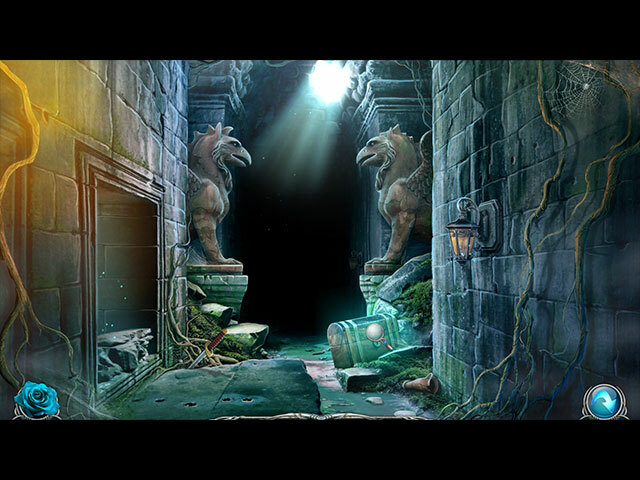 Rated 5 out of 5 by AdrianaIP from Very creepy and fascinating This developer keeps getting better and better (I used to love a certain pachyderm, but no more). Starting with the millenium secrets series, going through the wonderful Hercules games, it now creates the best chiller games. The story flow is perfect. We get snippets of information here and there, until the complete story takes shape. The visuals are what creepy story visuals should be. There is no pointless going to and fro. Each episode has a few rooms,and when the episode ends, you do not go back to them. Each episode has its own challenge, and after that, you get more of the story. The minigames and HOS are good (I love the interactive part of the HOS). 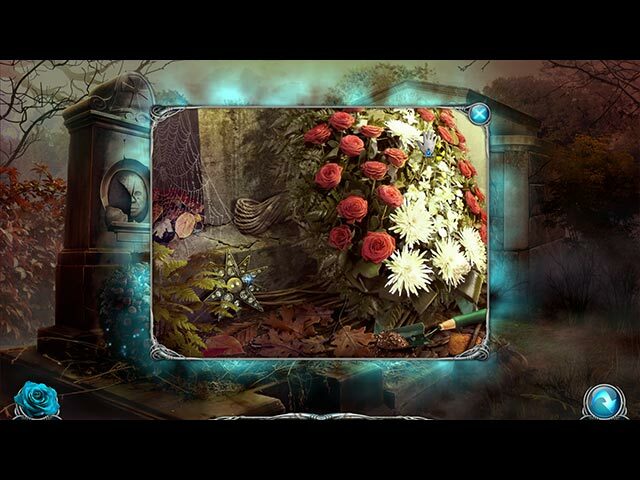 At the end, we still do not know the heroine's past, and she has gotten a glowing box. I hope we get a sequel quick. Rated 5 out of 5 by tutortime from Surprisingly Good. Very different and a little scary. Interesting scenes and storyline. It's similar to the Siberia games. Great game to use your free coupon on. Rated 5 out of 5 by lovemybook from Love the Clear, Easy to See Graphics and Storyline It's so nice to get a game where the graphics are so clear and attractive. They are big and clear, yet not cartoonish. You click on something, it's there. Nothing is hard to see or hidden. That is strangely so rare in games nowadays. It was also strangely at odds with the fact that the mechanics of the game were written so that the interface couldn't be kept on top - it kept hiding itself. So I kept vacillating between - "This game is physically so easy on the eyes and easy to play - great!" (remember - the great consumers of casual games are older folks, disabled folks, and handheld devices) and "This game is so irritating to play with its hiding of the interface (that really isn't the most helpful of interfaces in the world) - rats!". Plus, nowadays we really expect to customize to some extent our game choices - take in or out sparkles, etc. But I really liked the game. The story was good, had heart, (although it DID start out with the traditional somebody disappears and somebody has to find them). It didn't have the feel of a top notch game but if the developers had only gone that extra few yards and put in that map and journal and stuff, fixed that interface, gave it that interface "shine" it would have been one because the game itself was good. All in all, I like the game and would like to see more from this developer. I see the stars have leveled out to about 3 1/2 and I think that is too low. When I play 3 1/2 star games they are usually bad and glitchy. This is not. This is a good game, and does not have glitches. It just needed a touch more to give it the polish of a first rate game. And I liked the pathos of the story, instead, of the usual just evil creepy stuff that comes out of the more popular HOG developer everyone plays that I shall not name here. I won't put in a spoiler, but I liked the ending - yes, it could have been drawn out, but it was more than just kill the evil guy. Let me encourage the developer. Do more. I liked this. Thank you. Rated 5 out of 5 by kateblue222 from What a surprisingly great game! This game was a pleasant surprise. Yes, it's not the most sophisticated or original, but it works. It has good art, a story that unfolds as the heroine works her way through the obstacles, and it plays smoothly, without struggle. The things that you are supposed to do, and the objects you are supposed to do them with, actually make sense. Sometimes the characters you meet talk too much. So skip it if it's boring. The soundtrack isn't so much music as it is background ambiance, and it is perfect. Best of all it has skippable HOPs! Something I have been wanting forever. I mean, you can skip minigames, right? So why not HOPs? Just because these games seem to have grown out of the HO genre doesn't mean we shouldn't be able to skip them. Immediate buy! Rated 5 out of 5 by ushie15 from A lot of fun to play! This is a super fun game, with the kind of "real" people I like to see moving around and the kind of mysterious and creepy places I like to visit in games. I'm hopeful for a sequel to find out more about Vivian! The vamps are horrible and the monsters are dangerous and the bats are plentiful! Rated 5 out of 5 by romenya from good game The beggining of the story is surprising... Immediatly we are in. The rest of story is just enough thrilling. I love that. I've past a good moment playing this game. But I hope it's not ended... I'm waiting for the second episod. The box is glowing... and ????? Rated 5 out of 5 by shazabella from vamps galore i really enjoyed this game,the graphics were not the best ive seen but that is its only down fall,the storyline was entertaining and the puzzles were not very dificult but that didnt take anything away from a very good game. id recommend this game if you love vampires and a bit of mystery. Rated 5 out of 5 by OrionMommy from TWO FANGS UP! Soooo, I don't know what all the early bad reviews are all about...I really liked this game. I played 40 mins before I gave in and bought it. Yeah, some of the graphics for the monsters are only so-so not so great, but the rest is pretty good and realistic. I liked the HOSs and the fact that if you need something you go find it and use it. Some games lately make you carry around some dumb item and expect you to remember to use it two hours later, as if. Plus you get to burn things and blow them up, SOLD.